We are so excited to introduce to you the newest addition to the boy’s orphanage, seven-year-old Johan Daniel Rodríguez. Full of laughter and excitement as he was moving in, its hard to imagine he has lived such a difficult life. Johan was abandoned by his mother when he was only 20-days-old. She was expecting a girl and when Johann was born she didn’t have the right clothes for him. Someone gave her money to buy him new clothes, but she left and never returned. Johan’s aunt, who was already raising 8 children, took him in. With so many children and such a small income, he ended up just roaming the streets. Although Johan was in the San Juan Kinder program, he did not pass and did not return to school the following year. This week, she formally accepted, and has given over all her parental rights to POI. Johan arrived with worms in his stomach as well as other infections from roaming the streets. However, his heath is steadily improving and he is quickly adjusting to life with seven other boys. 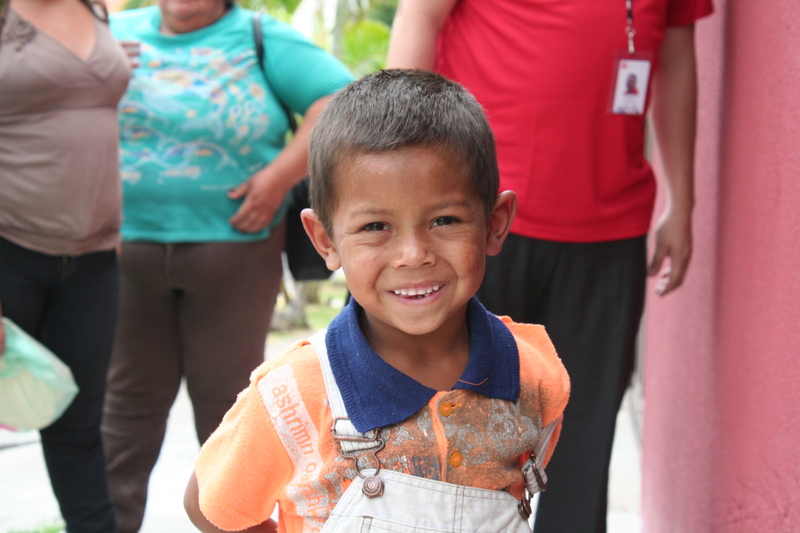 Edgardo, the house father says he is extremely obedient and gets along wonderfully with the other boys. He now has a warm bed, three meals a day, and all of his basic necessities. He is a playful, affectionate 7-year-old boy with a contagious smile.